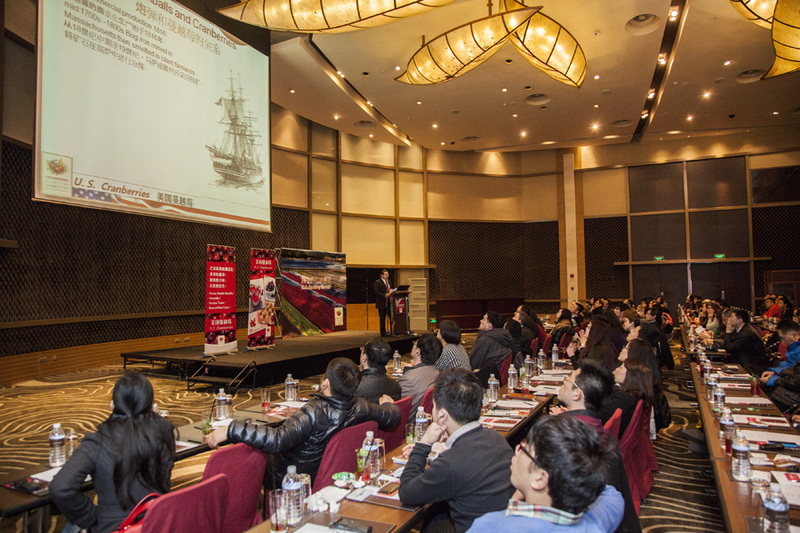 The U.S Cranberry Marketing Committee (CMC) launched its first seminar series in Shanghai, Beijing, and Shenzhen during the week of January 14, 2013. 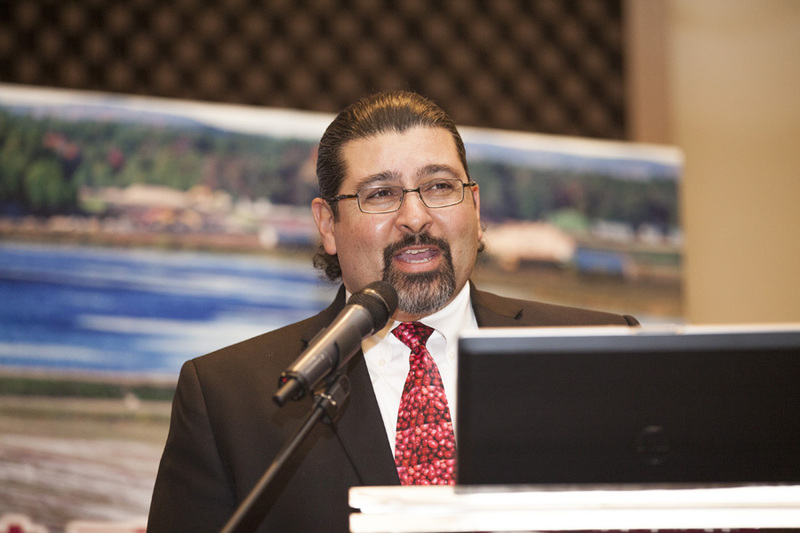 Scott Soares, Executive Director of CMC and former Commissioner for the Massachusetts Department of Agricultural Resources, gave a comprehensive introduction to the U.S. cranberry industry including industry dynamics, growing practices, and harvest methods. Dr. Amy B. Howell of Rutgers University spoke with the audience about the unique nutritional benefits of this healthy power berry. Finally, Josh Weiner of Bryant Christie Inc. shared insights into successful sales and marketing strategies for cranberry products in markets around the world. Following the educational component, participants enjoyed a broad array of foods and beverages utilizing cranberries. Members of the Chinese trade including importers/distributors, bakeries, food and health supplement manufacturers, retailers, food service managers, nutritionists, and journalists came to participate in the seminars. Seminars were held in Shanghai at the Hyatt on the Bund on Monday, January 14th, 2013; in Beijing at the Grand Hyatt (Beijing) on Wednesday, January 16th, 2013; and in Shenzhen at the Grand Hyatt (Shenzhen) on Friday, January 18th, 2013. MZMC received very positive feedback from attendees and CMC has spoken highly of our service and performance in arranging the events.